Cynthia Shafer-Elliott is Associate Professor of Hebrew Bible and Archaeology at William Jessup University in Rocklin, California. The Five-Minute Archaeologist in the Southern Levant is a user-friendly exploration of basic concepts within archaeology and the techniques and methods used by archaeologists in the field. 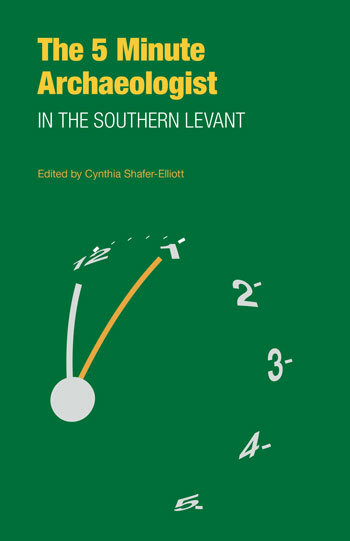 It is intended for students and lay readers alike, such as those participating in community archaeology for the first time, and would be an excellent reader for introductory level courses on the archaeology of the Southern Levant. Topics range from basic questions such as ‘how do archaeologists chose where to dig?’ to surveys of archaeological concepts and types of archaeology, written by specialists in those particular fields. Chapters are informal and relaxed – more like a chat or discussion that will help to answer some of the basic questions that archaeologists are often asked. The 5-Minute Archaeologist is a user-friendly exploration of basic concepts within archaeology, with particular attention to the region of the southern Levant. This volume is intended for students and lay readers alike, and would be an excellent reader for introductory level courses on archaeology in college and university settings. Topics range from basic archaeological concepts to various types of archaeology, written by specialists in those particular fields. Chapters are informal and relaxed – more like a chat or discussion that will help answer some of the basic questions that archaeologists are often asked. Aren Maier is Professor of Archaeology at Bar-Ilan University. What is Archaeology? Archaeology is the study of the human past, based primarily on the discovery, analysis, and interpretation of various kinds of physical evidence. Archaeology aims to broadly understand the evolution of the human species, and the development and changes in the culture, society, and daily life of ancient humans from all periods. Archaeology, by the nature of its physical involvement with the remains of past civilizations, invites us into the lives of the ancients. We learn of their daily lives by seeing their houses or caves, knowing about what their environment, their food, art, tools, even their diseases, and see it as our own past. Archaeologists talk a lot about tells. What are they? Tells are mounds found all over the Middle East, which are composed of layers of remains from ancient cities that were built, destroyed, and rebuilt repeatedly on the same location. The history of archaeology started on tells learning how to get the most information from the layers of past. An archaeological excavation is a major financial undertaking whether it is a salvage excavation or a planned long-term excavation. There are several types of entities that are involved in excavations such as: government agencies, academic institutions, religious organization, private individuals, and for profit companies. Each has its own motives and means of financing its operation. Itzhaq Shai is Head of the Institute of Archaeology at Ariel University. Various considerations come into play prior to the onset of an archaeological project. Different projects have different approaches as to where to dig and why to dig a certain site or area. Clearly, today excavations should be based on research goals and when a scholar plans his or her project it should also be decided where within the specific site they should dig. This decision is also dependent on the archaeologist’s research goals and should be based on data collected before the excavation begin. How archaeologists find archaeological sites and on what basis do they decide where in these sites they will excavate are questions that lay people often ask. How can an archaeologist know where to excavate and find such interesting artifacts? Unless a site is about to destroyed to due to modern development (such as the construction of buildings, roads, etc. ), the modern practice and ethics of contemporary archaeologists does not allow the complete excavation of an ancient archaeological site. Here are some reasons why. Archaeology is most often thought of as the act of excavating. While excavation is the primary form of collecting data, it is also destructive as well as expensive, creating a need for other ways of retrieving data, which both complement the excavation data, as well as assist in planning an excavation. This is usually referred to as archaeology survey, which includes various methods of non-intrusive data collection, in order to learn about a site or region. Digging and recording methods have changed through time. One feature that is very prominent in modern excavations is the balk, or the standing wall of dirt surrounding the digging area, which is left standing to help record the history of each excavated area. Locus is a term used in Near Eastern archaeology to describe a three-dimensional, coherent space in an excavation unit. A locus represents a feature such as a wall, pit, floor, or installation or a distinct collection of materials such as destruction debris or soil layer that have been excavated by archaeologists. It forms its own entity and consists of related material distinct from any other uncovered material. A locus is defined, interpreted and recorded by the archaeologist and not an “objective” datum. Eric Welch is Visiting Assistant Professor at the University of Kansas. Archaeologists work to reconstruct the past by organizing their findings in a variety of ways. Ancient cities are reconstructed as they once existed in unique “snapshots” called strata or phases. This essay explains what stratigraphy is and how it is used to explain the history of a site. Excavation methodology and techniques are the foundation of all archaeological inquiry. While archaeological methodology is continually evolving as new techniques and technologies become available, there are some general principles or rules that remain mostly constant. Archaeology is fundamentally a destructive science and therefore, its practitioners must make every effort to thoroughly document their discoveries. This brief essay describes the types of measurements archaeologists record as they document their excavations. Artifacts uncovered during excavation vary in size and condition. While certain artifacts are easily spotted using the naked eye, others, due to their size or the type of material they are made from, will not be found during the excavation. Therefore, especially when dealing with certain contexts, it is necessary to sift through the sediment collected, in order to retrieve all of the evidence left behind for archaeologists to fully understand the society they are studying. One purpose for digging is to acquire data from the excavated field. Since archaeological excavation is an irreversible process of destroying the primary context of what is being dug, all data pertinent to the immediate and long-term goals are subject to be collected through systematic recordings, such as verbal descriptions, drawings, and photography, in both the fields while digging and labs after digging. The effects of animals on archaeological sites must be considered both when the material is originally deposited and after the site is abandoned. Animals, both large and small, may add to deposits at the site, destroy material left by humans and have a large impact on moving material throughout the site. The artifacts we excavate are usually quite different from the things we use and see around us today. But there are similarities with tools we use today and even more so with the things used by more traditional cultures now or in the near past. We can use those similarities to compare artifacts to things we already know, whether from ethnographic studies or museums. The traditional task allocated to the pottery recovered on excavations is to determine the chronology of occupation. This is done by a complex process of typological seriation in relation to context. However, with the aid of proper research methodology, pottery is capable of informing us about social, economic and cultural aspects of ancient life. Jill Citron Katz is Assistant Professor of Archaeology at Yeshiva University. The Five-Minute Archaeologist is a user-friendly exploration of basic concepts within archaeology, with particular attention to the region of the southern Levant. This volume is intended for students and lay readers alike, and would be an excellent reader for introductory level courses on archaeology in college and university settings. Topics range from basic archaeological concepts to various types of archaeology, written by specialists in those particular fields. Chapters are informal and relaxed – more like a chat or discussion that will help answer some of the basic questions that archaeologists are often asked. How does archaeological context affect the interpretation of material remains? This article introduces the concept that not all contexts are equal and explains the differences between primary and secondary use of ancient artifacts. By investigating how primary and secondary use are identified, archaeologist are better able to evaluate what types of inferences can be drawn from archaeological data. Pottery is the most abundant artifact recovered on most archaeological excavations and serves many purposes, most of all to determine chronology and the nature of the context. Proper methods of collection, sorting, processing, research and publication are needed in order to extract the maximum information from the pottery, both during and after the excavation. 3-D imaging is used for data recording, data interpretation and the presentation of data and results. Technologies such as structure-from-motion and LiDAR are used to record point clouds. Computer visualizations can assist in detecting patterns. They also are useful tools to disseminate the results of archaeological investigation and assist in recreating aspects of the past. Mudbrick architecture is part of a wider technology of earth construction that is commonly found throughout the ancient Near East and many other parts of the world. This essay will briefly examine the methods, construction, excavation, and conservation of mubrick walls. The most prominent archaeological features encountered and seen at archaeological sites are walls and wall foundations. While these features help outline the nature and scope of settlements, a more important feature are floors or surfaces that can be related to these walls, because with the help of floors other features like walls can be dated. There are different kinds of floors and the most prominent kind in the Near East is dirt floors. There are certain markers that make it possible to recognize these floors, as well as special ways to retrieve and record the material so the date of the floor and the rest of the structure can be ascertained. If the primary task of the archaeologist is to recover and study the past, then one of the most critical tools in this venture is the ability to date artifacts and the context from which they are excavated. This essay explores the different techniques used by archaeologists to date archaeological finds. Dating is essential to the study of the past. Without knowing when things happened, archaeologists cannot properly interpret human-kind’s development from the past to the present. Fortunately, a number of archaeological and scientific methods have been developed to facilitate dating archaeological finds. These methods can be divided into two general categories: relative dating and absolute dating. Although the field of archaeology is science based, like many other scientific disciplines it borrows techniques developed in the “hard sciences”, which are then applied to archaeological questions. Within the world of archaeology such applications are still considered by many, a subfield called “archaeological science”. This brief review highlights some of the core sub-disciplines within archaeology that are considered archaeological science and gives examples of how the “hard sciences” are used to interpret archaeological finds, from radiocarbon dating, to site formation processes, to environmental and dietary reconstruction. Many excavations – up to 75% – are never published in final form, and not many people read those that are. How best to disseminate final results has always been problematic. 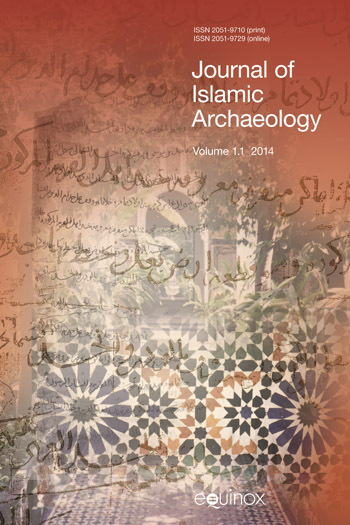 With increasing digital data, it is likely that online final publication will eventually become the norm in Levantine archaeology. Meanwhile, the archives of hundreds of unpublished excavations await study and ‘re-excavation’. The principle goal of processual archaeology is to explain cultural change in a scientific manner. The emphasis of processual archaeology, as its name suggests, is on processes and systems. Culture is a system of behaviors. History is a series of processes. If we can define these systems and processes, and understand how they work, then we can explain archaeological phenomena. Post-Processual Archaeology, initially a response to what were seen as the shortcomings of processual archaeology, is not a singular theoretical approach or methodology, but rather a range of interpretive alternatives in archaeological explanation. These approaches typically aim to be reflexive (the researcher is aware of his/her own perspective), context-directed, and critically aware of issues such as subjectivity, agency, identity, ideology, and power dynamics. Ethnoarchaeology is ethnographic research conducted by an archaeologist with specific archaeological questions in mind. Although ethnographic research from the 19th and 20th centuries provide insights into traditional lifeways in the region, recent ethnoarchaeological studies of traditional technologies, like pottery production, allow archaeologists to observe and interview modern practitioners in order to better understand ancient behaviors. Experimental archaeology is a valuable approach to understanding ancient technology. By re-creating or replicating ancient artifacts and installations, archaeologists gain insights into how people made and used a variety of things in the past. Replicating traditional cooking and baking, flint knapping, metal working, and glassblowing allows archaeologists to gain first-hand experience with these technologies and consider archaeological problems from a different perspective. Archaeologists have realized the importance of the home in ancient societies and many have shifted their focus to study it in more depth. This shift of focus has become known as household archaeology. This chapter will discuss: What is a household? What is household archaeology? And how does household archaeology helps archaeologists understand the past? The examination of gender in the archaeological record is known as “Gender Archaeology” and has become a useful tool in the archaeological tool kit. This chapter will clarify: What is gender archaeology? How do archaeologists use gender archaeology? And how does it help archaeologists understand the past better? Children are surprisingly absent from the archaeological record of sites that are excavated and published. This is a false and biased picture that has been created by researchers owing to their scholarly interests. Children are a constant major demographic component within traditional human societies and they certainly have contributed to the archaeological record, and created, and used material cultural features. The research of the material culture of children and childhood is vital for the full understanding children’s life, activities and role in different periods and cultures, but it also provides important insights on those societies and cultures. Funerary (or mortuary) archaeology can be summarized as the study of the world of the long dead. This includes the study of dead bodies, certainly, but also investigation into funerary rituals, mortuary landscapes, the stuff placed with the deceased in a grave, and a society’s beliefs about death and the afterlife. Funerary archaeology is therefore a complicated undertaking, and involves looking at the biographical, demographic, religious, social, and political dimensions of human burial—categories that are interrelated and sometimes conflicting, but which can help inform the questions we ask during each mortuary excavation. This essay addresses methods employed by archaeologists to determine the plausibility that an installation was used for religious purposes. The problematic nature of differentiating between the overlapping spheres of “religious” and “secular” activities is addressed and three main categories of evidence for cultic contexts—architecture, artifacts, and animal bones—are discussed. Recent studies present ethnicity as a social construct, challenging the interpretation of this aspect of identity from archaeology even when texts are available. A test case for the use of multiple lines of material evidence is presented. The ethnicity of the inhabitants of Tell en-Nasbeh was regional and situational, but influences of the Judean kingdom and Assyrian empire are demonstrated. Archaeologists have a variety of methods to examine the remains of plants, animals, soils and sediments to document past environments and reconstruct the lives of ancient people. Any attempt to reconstruction the environment, either on the local level or in a region, is greatly strengthened by using many lines of evidence for past environmental conditions. Since almost any given region or landscape was inhabited by humans in the past, these landscapes therefore carry within them profound cultural variability, functions, and even memories. By shifting the focus from the site to the cultural landscape and by looking at features from a wider perspective, the archaeologist can arrive at significant conclusions as to how the landscape was changed, was influenced by people in the past, and up to the present day. A good programme of landscape archaeology lies in the ability of the chief investigator for thinking outside the box, in attempting new methods, and in looking at the case study in hand from as many inter-disciplinary angles as possible. Microarchaeology is the study of microscopic materials, chemical residues and elemental compositions that would be missed without the use of specialized equipment to image and analyze remains. Some of the main areas of research in microarchaeology focus on dating of materials, archaeobotanical studies, paleoenvironmental studies, paleo diet studies, site formation studies, and provenience and procurement studies. All of these studies aid in reconstructing past behaviors. This essay describes problems associated with the preservation of animal bone remains and methods used in their recovery before explaining ways these samples can be utilized to derive information about the process of domestication, patterns of animal management, and the human diet, as well as provide a context in which to address questions related to the economy, society, and the cult. Archaeologists spend much of their time carefully excavating the trash piles of ancient peoples. Why is this the case? Garbage yields important data for reconstructing past behaviors. Garbage dumps also help archaeologists understand the changes that a site undergoes over time. In other words, a garbage dump provides a window into the ancient occupation of a site. If you had to choose which period you’d prefer to live in, would you go for the Stone Age, Bronze Age, or Iron Age? Indeed, periodization in archaeology is based on these technological developments and obviously, the introduction of metals resulted in a giant leap forward for human-kind. Archaeometallurgists study both the process of production from raw materials to the end products, and do so within the broader cultural context that is imperative for creating a deeper understanding of the past. During an archaeological excavation, hundreds if not thousands of items related to ancient life are removed from the ground (such as: pottery, soil samples, jewelry, even animal bones). This chapter addresses what happens to these various items and how decisions are made regarding their study and long-term storage. Once artefacts (such as: jewelry, tablets or scrolls, pottery, even human remains) are excavated from an archaeological site, it is not always clear to whom these items belong, especially since the original owners are long dead. This chapter addresses how ownership of artefacts has been decided in various countries and at various times throughout the history of archaeology in the Levant. Each artefact you see in a museum has had a complicated journey from creation to deposition and from rediscovery to the museum case (or storage room). Together, all the chapters of this story might be called the object’s biography. The most recent chapter of a museum object’s biography—how that object ended up in a museum—can range from straightforward to extremely convoluted and ethically complex. This essay will briefly discuss the four categories of acquisition that will in general encompass the particularities of any individual object’s story: (a) purchase, (b) gift, (c) sponsoring an archaeological excavation, or (d) loan. Looting is the removal of antiquities from their archaeological context without proper recording. Looted items are the property of the state in which they were found. Collectors and tourists who purchase looted items contribute to the destruction of archaeological remains by creating a demand that the market meets. Since its inception, archaeology — and particularly Levantine archaeology — has been intertwined with nationalism. This article introduces some of the connections binding archaeology and nationalism together, including the interactions between archaeology and nationalism in the modern period, international organizations that undergird their connection, and the intersection of archaeology, nationalism, territorial boundaries, religio-cultural factors, political objectives, and cultural resource management. Archaeological excavations in contested areas inform the political and social narratives that shape the identities of its residents. Archaeology cannot be divorced from the political conflict. Participation in excavations should take into account international law and the broader political implications of excavations that contribute to the narrative of only one side of the conflict. This volume offers biblical scholars a thorough (and accessible) introduction to archaeological methods, answering basic questions about how sites are chosen, what a locus is, and how measurements are taken and why; and also covering more complex issues such as how to date things and how to identify dirt floors. Each of the 56 chapters are clear, readable and concise, offering further reading recommendations for each topic. 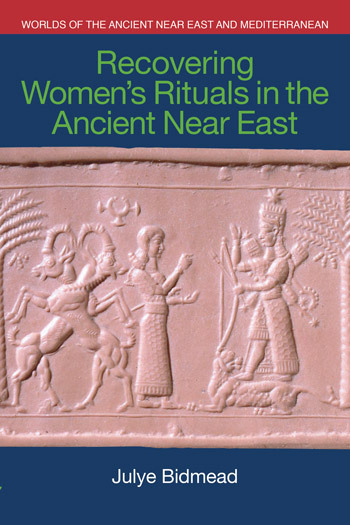 Later chapters cover thematic types of archaeology, such as gender, funerary, household and landscape, as well as ethical issues such as artefact ownership, museums, looting, and excavation in contested areas. Specialist terms are explained clearly and topics are treated with sufficient depth and detail, whilst keeping the reader interested and engaged. I would highly recommend this book to those about to embark on the use of archaeology in their work as well as for teaching undergraduate classes which implement archaeological methods and/or sources. I recommend The 5 Minute Archaeologist in the Southern Levant to anyone with a general interest in archaeology.